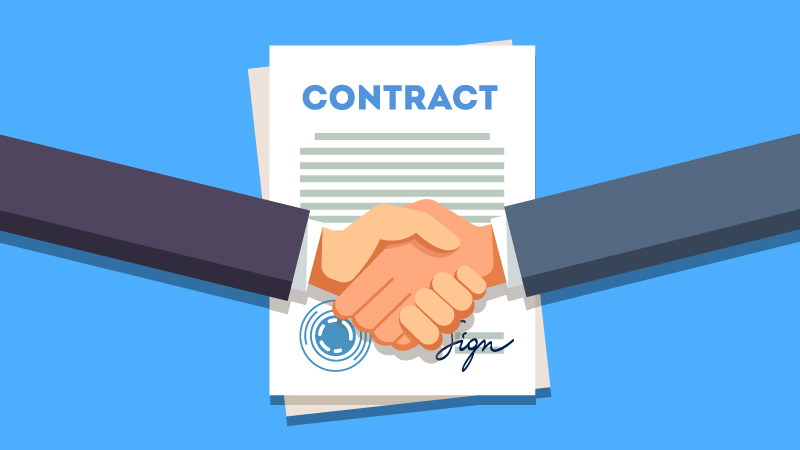 The easiest of ways to improve one’s contract management process and greatly reduce susceptibility to risk is to standardize language across all company contracts. Most firms use a clause library (an approved set of legal clauses to be used in contracts) along with a contract playbook (a document that reflects the company’s standard contract terms, their explanation, other acceptable nomenclature relating to the terms required for negotiation with customers, and “walk away” clauses which are not acceptable to the company due to financial, legal, or procurement risks). When circumstances require repapering of a large number of contracts, one can standardize older contracts with the most recent contract playbook. Speaking of repapering, automation of the repapering process will help one’s firm create and manage contracts easily and efficiently. The first step in the automation process is to create a master template for any standard contract, with the data points left blank. The second step would be to apply appropriate software to integrate client data into the template, thereby creating hundreds of contracts, differing only in those terms that depend on client details, in one go. There exist several automation tools that take care of QA review, distribution, negotiation, and execution of the contract as well. Digitizing will bring the key elements of one’s contract into a centralized data warehouse. In this way, a firm’s attorneys will not have to spend hours manually poring through contracts trying to extract relevant data points, and can instead easily access them from the data warehouse. There are two approaches to digitization, one is the use of AI, and the other is the incorporation of automation. In the AI-based approach, the firm has to hire experts who can train machine learning tools to understand the standard structure of common contracts. While the human is responsible for showing the location of the documents and explaining the meaning of data elements, the tool is responsible for going through hundreds of documents and extracting said elements from other contracts. In this approach, a lawyer creates the master template and marks key terms. When contracts are created from this template, the data elements become machine-readable metadata, which can then be used in reporting or communicated via Application Programming Interface (API), thus creating a data warehouse. Many firms are understandably peeved about the numerous repapering requirements in the pipeline. But there exists a silver lining to these regulatory changes – the opportunity to develop processes and databases that are outfitted for the future. By standardizing, automating, and digitizing one’s contract management process, financial organizations can extract powerful data that is sure to serve them in future business dealings, as well as save resources and minimize risk in a way that makes room for better decision making. LegalEase Solutions is a legal services provider offering corporate legal departments and law firms innovative support with their Contract Lifecycle Management, compliance, document review, legal intelligence, on-demand legal operations, and legal research and writing. LegalEase works with leading contract management technology that enables control over the contract universe, reduces susceptibility to risks and penalties, optimizes spend, and improves inter-departmental decision making. If you need support with a project, please feel free to reach out to us at contact@legaleasesolutions.com. Our team of attorneys is happy to help.